Easter, Earth Day, baseball season, it must be April! If you’ve visited us lately, you probably noticed we’ve got beautiful arrangements of spring flowers throughout the office to celebrate the new season. 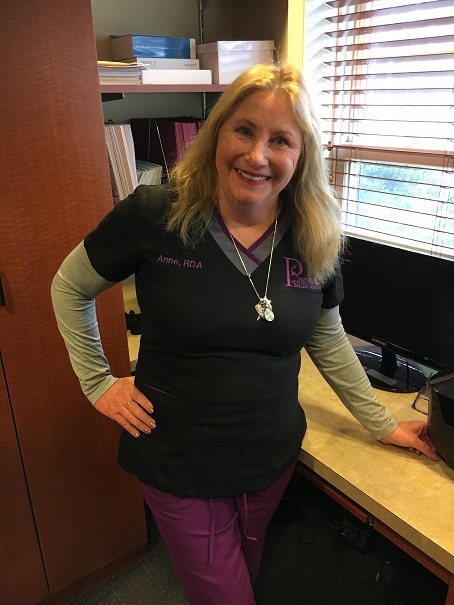 We asked our dental assistant, Anne, to tell us about what she’s looking forward to most and how she’ll be celebrating this month’s happenings. For Anne, Easter is a transitional time of phenomenal renewal. It’s when the Earth reawakens from her slumber and explodes with new life. Easter also means an influx of egg-shaped treats across all grocery stores and drugstores. Anne loves chocolate malted eggs and sugar dioramas. And if you ask the rest of the team, we won’t say no to cookies, cake, and candy no matter the occasion! With baseball back in action, Anne is ready to root for the Yankees. Her family is devoted to the Yankees and always enjoys spring training. Anne is also looking forward to planting her spring flowers. This is a special tradition as planting new seeds symbolize new growth, starting new projects, and coming forth with new ideas. Anne fully plans on taking advantage of the longer days to be outside and appreciate her health and physical well being. Like the rest of our team, Anne is passionate about Earth Day and spreading the word about recycling as well as purchasing biodegradable products whenever possible. She believes it’s important to do what we can to save our beautiful Earth and keep our roadsides clean. By picking up trash when we see it and being more conscious of how we dispose of our own trash, Anne believes we can start making a difference. Last but certainly not least, Anne has recently been blessed with the birth of her new granddaughter! This new tiny bundle of joy has brought so much warmth, light, and love to her family. We hope you’re all having a great month so far and hope to see you in the office soon. If you see Anne next time you’re in the office, don’t hesitate to say hello!